Several national Random House authors will be featured on Saturday, March 3, 2012 at the 15th Annual Random House Book Fair at Carroll Community College. The fair is a spring Carroll County tradition which draws visitors of all ages from the region to hear author presentations and obtain signings, buy discounted books, participate in a silent auction and children's activities, and more. Mama, Papa, Brother and Sister Bears of the Berenstain Bears Series, which is celebrating 50 years, will be greeting visitors throughout the day. Elizabeth Letts, author of The Eighty-Dollar Champion, will discuss her book about a horse and his owner who rise to the very top of the sport of show jumping against all odds. Lenore Look, author of Alvin Ho: Allergic to Dead Bodies, Funerals, and Other Fatal Circumstances, will discuss the book about life and loss, humor and insight, and the sometimes chaotic world of a young boy named Alvin Ho. Keith Donohue, author of Centuries of June, will talk about his novel that combines the fiction of history with historical fiction; a dreamlike reality with a reality that could, after all, be a dream; and a story line that will move the reader. Tess Gerritsen, author of Silent Girl, features medical examiner Dr. Maura Isles and Boston homicide detective Jane Rizzoli. Gerritsen is without a doubt one of today's biggest suspense superstars. Her books have been bestsellers in the United States and abroad. 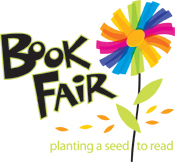 A kick-off to the Book Fair will be held Friday, March 2. From 1 p.m. to 5 p.m., senior adults are invited to enjoy discounted book sales, workshops and exhibitors, and a book talk by author Susan Fraser King. Two movie showings of the Disney movie Cars 2 will be held at 4:30 p.m. and 7 p.m. Children of all ages will enjoy a visit by the Good Neigh-Bear from State Farm Insurance. Proceeds from the Book Fair benefit student scholarships at Carroll Community College. For more information, please contact Kathy Mayan at 410-386-8155 or e-mail kmayan@carrollcc.edu.